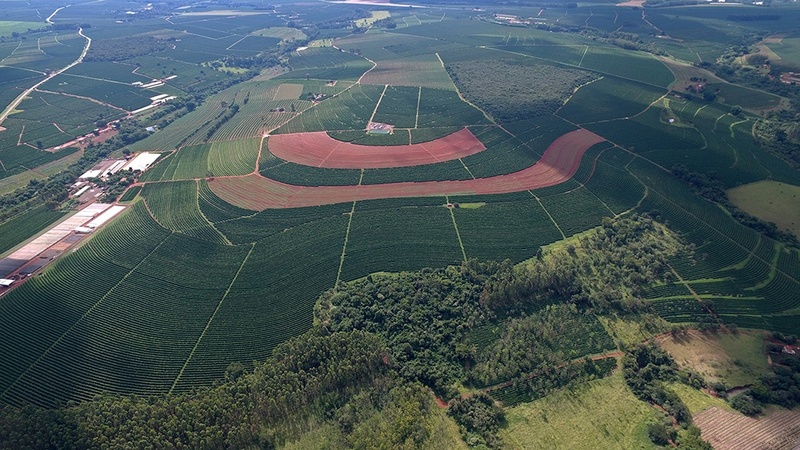 Fazenda Bela Época has been growing coffee for more than 80 years, spanning three generations of producers passionate about coffee. It is a harmonious process that begins in variety experimental fields and passes through careful cultivation, harvest and post-harvest processing, with meticulous bean selection, handling and drying.“We maintain a long-term partnership with IAC (Agronomic Institute of Campinas) that enabled us to experiment with more than 100 varieties of coffee that are analyzed and propagated with the goal of selecting plants that will perform well in the cup and in the field,” explains André Luis da Cunha who, together with his brother, Luis Claudio, and his sister, Silvia, manages the family company under the watchful eye of their father, Mr. Luis da Cunha Sobrinho.Variety selection incorporating sensory evaluation of the drink is also conducted in areas dedicated to organic growing. 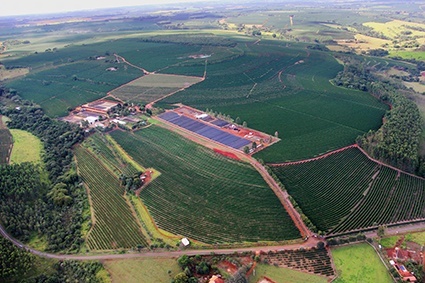 Other partnerships to benefit sustainability programs are being conceived, such as the project developed with Abemel (Brazilian honey exporters association) with the installation of several beehives on the reserves at Fazenda Bela Época to preserve bees.And that’s not all. More recently, experiments were expanded to incorporate tests and impacts of different post-harvest processing methods, supporting triple evaluations: variety, post-harvest management and quality of the drink. 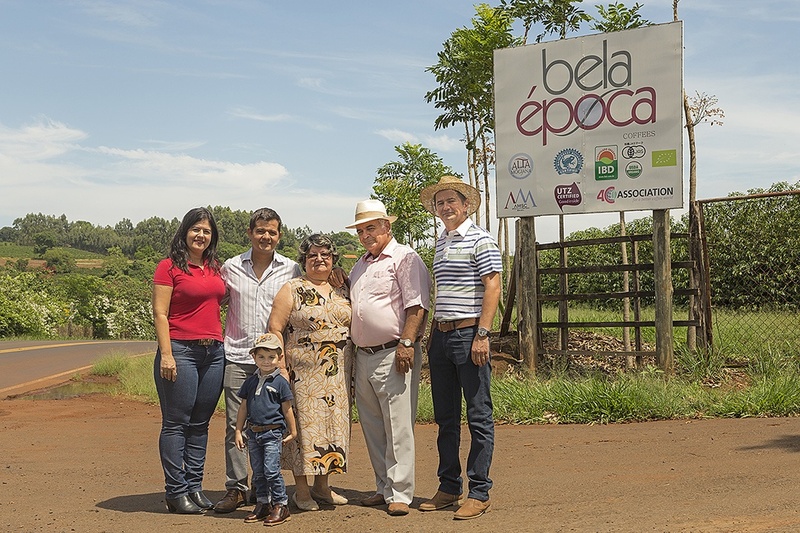 “Fazenda Bela Época has a project to improve its post-harvest processing that includes: natural coffees, washed coffees, pulped natural coffees, honey, black honey and drying in greenhouses. These processes, together with different varieties produced, such as yellow bourbon, yellow obatã, topázio, yellow catucaí, catuaí, and some exotic varieties like geisha, pacamara, ibaeri and maragogipe, have their beans tasted for sensorial characteristics. The final objective is to achieve a drink with the best quality,” explains André enthusiastically.Innovation, technology and respect. These three words perfectly summarize and illustrate the present moment at Fazenda Bela Época and these are the directives that guide the paths followed at its two locations, in Ribeirão Corrente, SP e Ibiraci, MG.
Fazenda Bela Época has had Rain Forest Alliance and UTZ certifications, and 6 years ago part of the farm was converted to organic.Sustainability and workers’ well-bring are the primary concerns for the entire coffee production system.There is an accident prevention system, a job engineer and a phycologist for worker development.The farm is a reference in the region for sustainable specialty coffees.Fazenda Bela Época continually searches for new post-harvest methods. 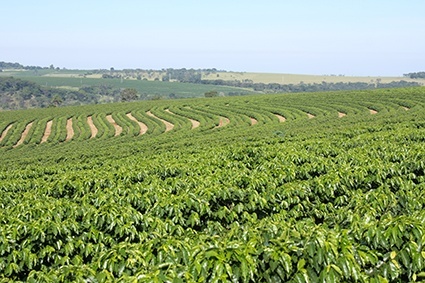 They conduct studies on genetic improvement at the farm, seeking to develop coffees that are more resistant to pests and diseases as well as having good cup quality. 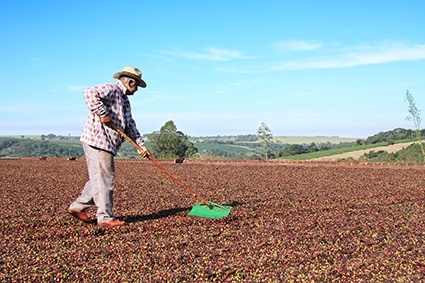 They seek to continuously improve themselves and to seek balanced nutrition with genetics adding to the post-harvest processes.The lot sent to Cup of Excellence is not organic, however Fazenda Bela Época has organic production with certification from Orgânico Brasil, JAS, USDA NOP, Europe. Valid until 2019, inspection has already been done this year.